Cross Country boots in microperforated neoprene 'AEROX', together with 3D mesh ducted fabric to guarantee double ventilation. Keeps the tendons cool as heat is channelled to the outside. These boots don't absorb or retain water, so are waterproof despite the weather or terrain. 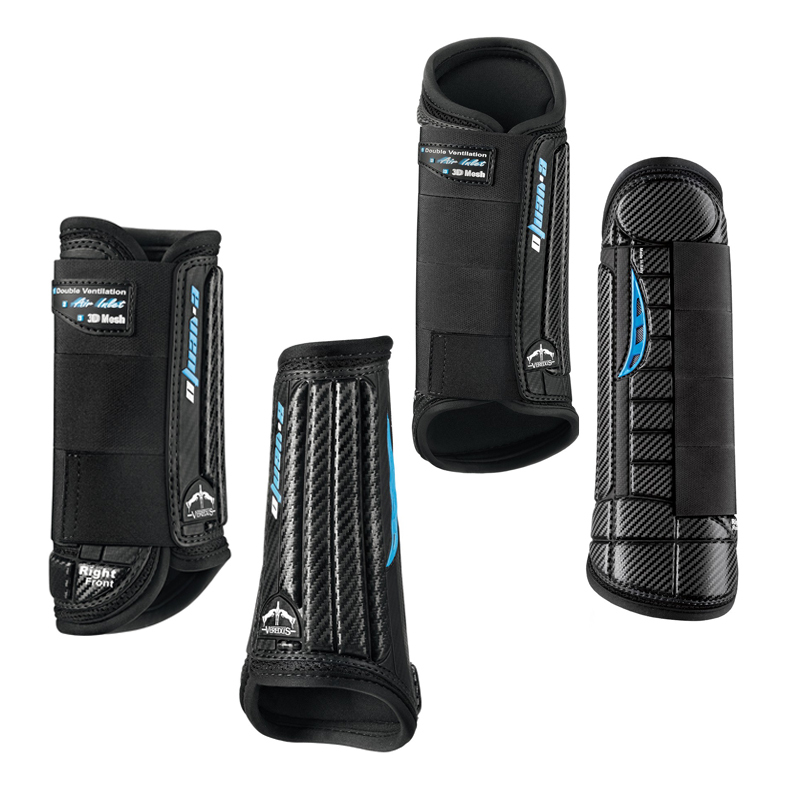 Shock absorbtion system reduces the shock felt during impact. Reduced weight despite offering extremely robust protection, the boots allow greater freedom of movement and flexibility.